If there was ever a god, treacle sponge puddings are surely proof that he in fact exists , and at the same time seems to have a penchant for home baking – for how else could such a delight to the tongue have made its way into the world? 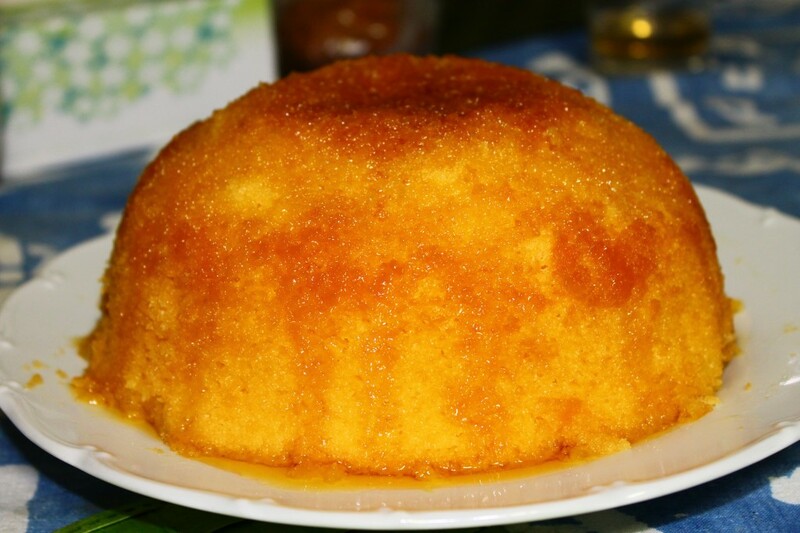 The treacle sponge pudding has no qualms about being a simple desert, essentially just a ball of sponge wallowing in syrup. Juxtaposed against the French dacquoise or the mille feuilles, art forms in themselves requiring patience and skill, the sponge pudding epitomizes that very British way of ‘lumping’ separate things together and hoping for the best. Which (as with battered deep-fried mars bars, One Direction and The UK Independence party) can sometimes can go horribly wrong, but at other times (as with Fish and Chips, The Beatles and Monty Python) hits the nail straight on the head. And so there I was, 14:45 on the 11th of March 2011 standing in a kitchen, making treacle sponge pudding. My girlfriend in the kitchen and her sister in the living room, it had been an uneventful hazy lazy student afternoon, that of day-time television and sleep. I first noticed ‘it’ had started when my girlfriend’s younger sister shouted to us from the living room, “an earthquake!” she screamed almost half excitedly. I, about to crack eggs, ran into the living room expectantly – I had never experienced an earthquake in Japan despite having had studied there for at least six months by this point. The flurry of medium sized earthquakes that we had experienced in the past few days had all jealously passed me by; I had either been sitting on a train or driving in a car, oblivious to them all. This was my time to finally experience an earthquake. In an instant however the sense of wonder and awe had disappeared, only to be filled with fear and dread – it became obvious almost instantaneously that this was no normal earthquake. My girlfriend’s family flat was on the 19th floor of a high-rise, with staggering views of Mount Fuji set against an almost equally awe inspiring backdrop of Tokyo’s sprawling metropolis. However, this also gave it the disadvantage of being prone to swaying widely and erratically during magnitude 9 Earthquakes, as I was about to find out first hand. Instinctively we all dash to get under the dining room table, the ebbing and flowing of the seismic waves making it somewhat difficult to even perform the basic of motor functions. By this time my girlfriend’s sister was starting to panic and so I grab her hand, I am panicking also but I try not to show it on my face. “The Stove!” my girlfriend remembers trying to scramble to her feet towards the kitchen. I race there first, with the grace and balance of a newborn calf. Back under the table and still the swaying rages on. No, it’s getting even bigger. The sounds of steel girder creaking puncture the air. Peering from underneath the table and out the window, the high-rise building adjacent is clearly swaying widely also, the visual effect amplified by the almost see-saw timing of the two buildings passing in tandem. Two mighty buildings reduced to wobbly jelly on a plate. Images of earthquakes in Kobe and Tokyo of yesteryear, of half collapsed buildings and raging fires thunder through my thoughts, I anticipate the worst. Is this the “big one”? 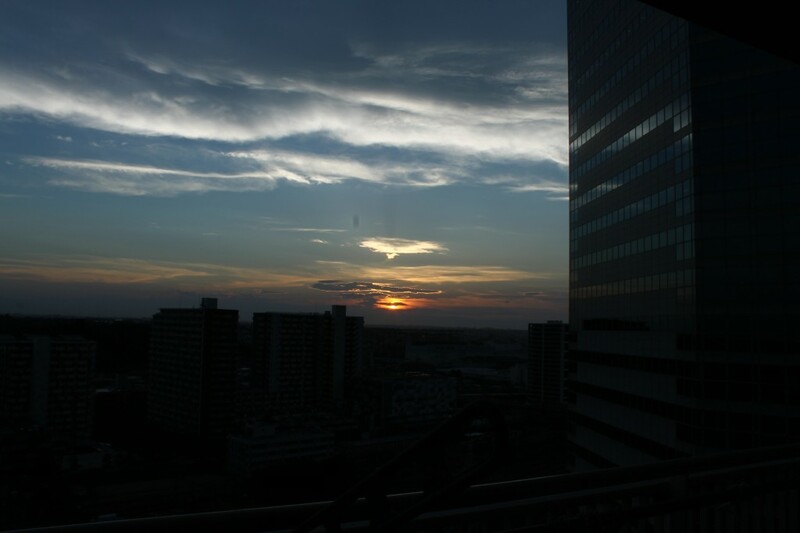 Why was I that unlucky that I had to be in Tokyo, in a high-rise, at this exact moment? However, unbeknown to me, also at that exact moment in time, as I sat hunched under the table consumed and concerned only about my situation and my safety the stuff even nightmares are not conjured from was about to rear its ugly head to the world, hundreds of Kilometers to the North. After three minutes or so the swaying subdues to a certain point, but will nevertheless carry on intermittently for the rest of the day and night as a slurry of aftershocks strike with alarming frequency. 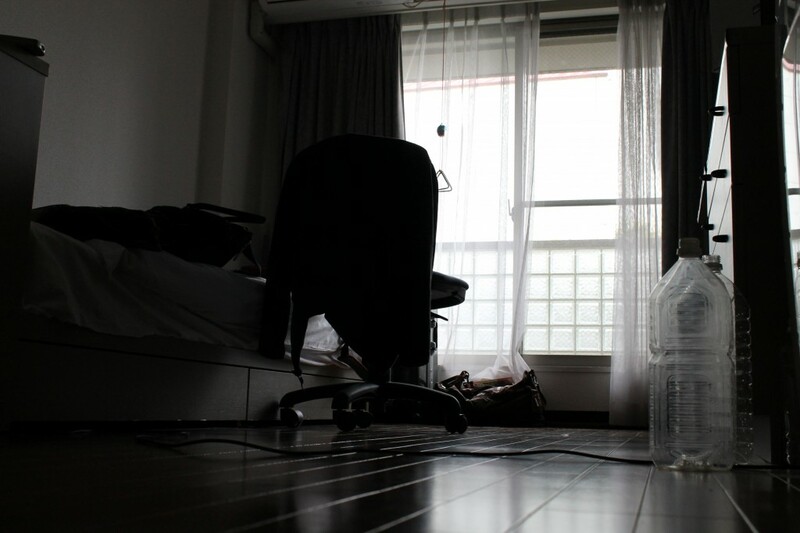 I get up to look out towards the Tokyo skyline, fearing for the worst. Immediately I spot black plumes of smoke over towards what seems to be near Odaiba. It adds to the sense of confusion and panic. We decided between the three of us it may be better to leave the building for now. The long descent down the emergency stairwell is ironically littered with falling debris from the ceiling. People with faces unfamiliar offer mutual words of comfort and reassurance, I am touched as it is in stark contrast to how life operates here most days (with neighbors seldom even acknowledging each other’s presence). Tokyo has been dealt a blow to its sometimes cold cool veneer, and the real warmth of character and communal spirit has started to trickle through – something I would come to increasingly realise and appreciate over the coming weeks and months as natural disaster turned to nuclear disaster. Downstairs and across the way people are huddled around a radio in a grocery shop. Intermittently the words “Tohoku” and “Tsunami” find their way into my ears, but I am still trying to grasp what exactly is happening. Cold and tired after ten minutes or so we decided to make our way back upstairs and into the apartment. Another quake strikes, and again the world feels like it is coming to an end. Somehow I manage to find time to phone my parents via Skype – anticipating the way the British media would probably scramble to cover the situation with wall-to-wall coverage and rolling images of tsunami and buildings near collapse, I try to get to them before to reassure them (amazingly they remain calm and composed over the next few months, even as Fukushima becomes a dirty word and the media do their best to portray Japan as near nuclear meltdown, and I am forever grateful). Sitting in front of the TV all one can do is but gaze in disbelief at the rolling live images of cars and people trying to escape as a wall of water rears up behind, and they are ultimately unsuccessful. Fields are washed clean away as buildings, cars, and anything in the way is swallowed up into the sprawling black filth which charges its path through entire landscapes. But all we can do, all anyone can do, is just watch, wait and hope. Somehow in the malaise of it all I return to the kitchen, floor now strewn with broken eggs, and finish that treacle sponge. My girlfriend’s mother returns from work after walking eight kilometers or so through dark power-cut streets (all trains have now stopped) and we all gather around the table, as if any other day, looking for some kind of normality. In the middle proudly sits my gleaming treacle sponge pudding in all its glory. Suddenly, however, I could not care less for sponge pudding anymore. This entry was posted in Jamie Rhodes, Life and tagged March 11th, personal experience, Tohoku Earthquake on March 11, 2014 by Jamie Rhodes.